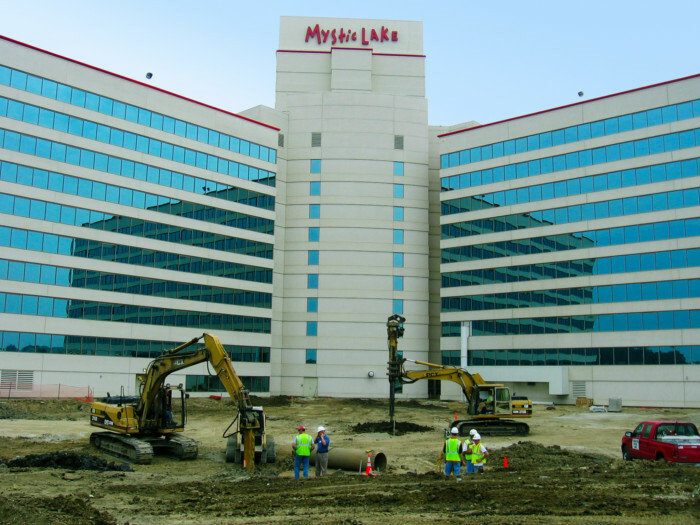 To accommodate their patrons, Mystic Lake continually retains us to assist on projects for their hotels, parking ramps, entertainment center and golf course. These projects present a number of challenges, including high building loads, marginal soil conditions, proximity to the casino, roadway and/or winter construction, and adjacent wetlands. Two of the hotels and three parking ramps were constructed in an area previously filled with clay soils and located adjacent to existing wetlands. We conducted extensive research on our past projects in and around the immediate area, and developed alternate foundation support systems. By becoming part of the construction and design team, we were able to provide detailed knowledge and insight into soil conditions and challenges.